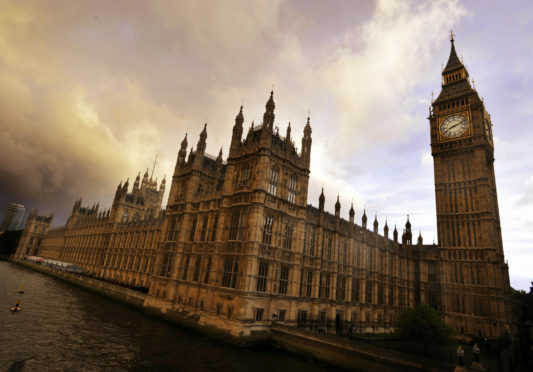 The motion, passed by 420 to 110 votes, follows the passage of a backbench bill on Monday which ordered the government to seek an extension to the Article 50 negotiating period to prevent the UK exiting the EU with no-deal on Friday. The SNP’s Europe spokesman Stephen Gethins, speaking during the debate, said the measure was an act of “common sense”. He said: “I still find it astonishing that we are still debating whether to rule out a no-deal Brexit and even today this most simple of moves that the delay should be of at least three months seems like a measure that we shouldn’t even be discussing and debating, so straightforward and common sense does it seem. Mrs May will comply with the motion by formally requesting a delay to the departure date in Brussels today. But Conservative former minister Tim Loughton, also speaking in yesterday’s debate, appealed to French president Emmanuel Macron and German chancellor Angela Merkel to turn the request down. He said: “Please, put us out of our misery now, as this House and this government appear incapable of doing.